Pride House International calls on International Olympic Committee voters to respect Olympic Charter in choice of host of 2020 Summer Olympic Games | LEAP Sports Scotland LGBT sport and human rights groups is appealing to them to recall the Olympic Charter’s commitment to human rights in their choice of the host of the 2020 Summer Olympics. Pride House International has published resources for use by IOC voters as they consider the finalist bidders Istanbul, Madrid, and Tokyo, and is calling on the IOC to support the creation of an advisory committee for future bids to evaluate the human rights impact of hosting coming Olympic Games. "> LGBT sport and human rights groups is appealing to them to recall the Olympic Charter’s commitment to human rights in their choice of the host of the 2020 Summer Olympics. Pride House International has published resources for use by IOC voters as they consider the finalist bidders Istanbul, Madrid, and Tokyo, and is calling on the IOC to support the creation of an advisory committee for future bids to evaluate the human rights impact of hosting coming Olympic Games. The page is available on the PHI website at gaymes.info/iocresources. The IOC evaluates bidders in a variety of areas, including legal protections for infrastructure development and for sponsors’ marketing rights. The IOC has continued to adapt its bidding process to a changing world, and now includes, for example, a significant analysis of the environmental impact of each bid. The IOC has notably been criticized with regard to human rights for its choice of China for the 2008 Summer Olympics and of Russia for the coming 2014 Winter Olympics. At the moment, human rights are not part of the IOC evaluation process for bidding to host Olympic Games. 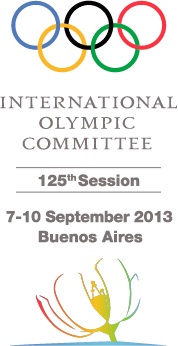 Les Johnson of the Federation of Gay Games observed: “This evaluation should be done by the IOC, but as a start, we are providing a resource page for the men and women voting on the 2020 host on 7 September. Better tools are needed for a more in-depth and focused analysis of bidding countries’ human rights record – and their potential for change. We hope that the IOC will follow up on these first steps when it comes time to select the host of the 2022 Winter Olympics and the succeeding Games. The IOC prides itself on the progress it has made on certain aspects of inclusion, for example, women’s participation in the Olympics. But much more remains to be done there, and there are other strands of diversity which the IOC has barely begun to consider, including LGBT inclusion”. In its Charter, the IOC declares that “Olympism” is at the service of human progress, and declares itself to be the arbiter of world sport, which means that all those who enjoy and practice sport have a stake in the Olympic Movement. Pride House International recognises the need for the IOC to take the lead on this kind of evaluation. Only the IOC has the resources to make this happen. Beyond the resources needed for research and evaluation, the results need to be integrated in the IOC decision-making process. Beyond evaluation, the IOC needs to develop its own arsenal to promote equality in sport and at the Olympics, in its contractual relations with its host, in the various entities that make up the Olympic Movement, and in sport more generally. Concluding on the subject of the February 2014 Sochi Winter Olympics, Elvina Yukaeva of the Russian LGBT Sports Federation added: “We still hope that the IOC will support a Pride House in Sochi. Amidst the legitimate debate about holding the Olympics here in Russia, we are happy that the next Olympic Games will be taking place in Sochi, for it allows us to shine light on the abuses of human rights, in particular of the freedom of expression and assembly of LGBT people and their allies. But we recognise that choosing Russia as a host, and maintaining it as a host despite the adoption earlier this year of anti-gay laws on a federal level, has put the IOC in contradiction with its obligations to athletes and other participants in these Games. We know that the prospect of hosting the Olympics can induce positive change: by including the current and prospective status of human rights in the decision-making process, we hope that the Olympics can truly be the tool for human progress envisaged by Pierre de Coubertin. Written on 3rd September 2013.